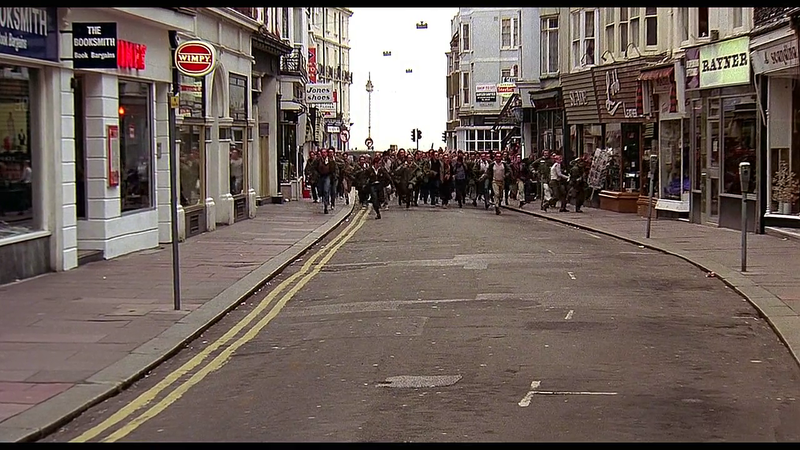 A disaffected working-class Londoner (Phil Daniels) rides a scooter with his Mod buddies while pining after a beautiful girl (Leslie Ash) whose affection he finally wins (temporarily) during a bloody riot in Brighton against a rival gang of Rocker bikers. 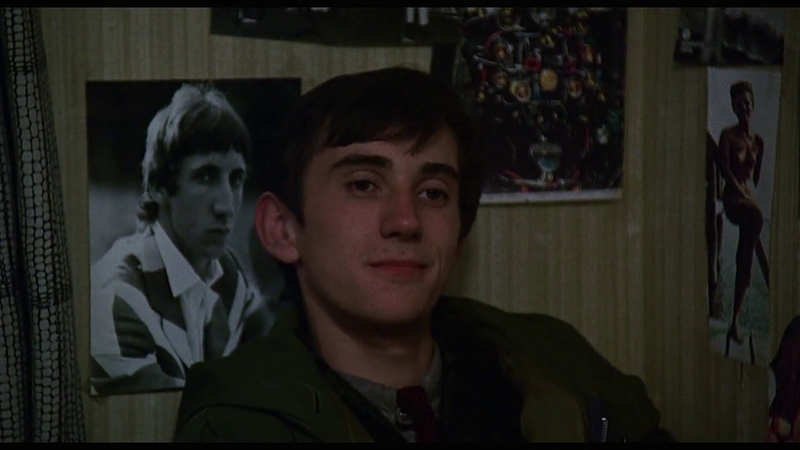 Peary argues that “England’s first street film, about the turbulent Mods vs. Rockers music-motorcycles-fashion scene in 1964 (the year of the Brighton riots)” is “the most exciting, perceptive youth film since Rebel Without a Cause.” He writes that “it wasn’t made with an international market in mind” — meaning “there’s no preface for the uninitiated that defines and contrasts the warring Mods and Rockers”, and “the working-class characters speak with thick cockney accents” — but he notes that he “can’t see why Americans can’t identify with it”, given that “young viewers can relate to the Mods, who define themselves by their musical taste, revolutionary fashions, anti-social posturing, and anarchical brand of violence”. 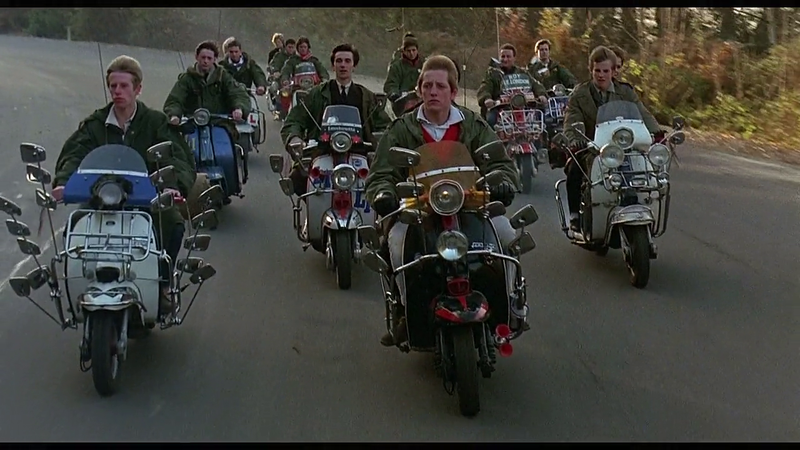 He further notes that “one can become extremely sentimental because director Franc Roddam has done a remarkable job of re-creating the youth scene of 1964: dark, wet London streets, empty but for the herds of Mods on Italian scooters and Rockers on heavy cycles in search of a rumble; dingy, sweat-filled clubs; greasy diners, pinball joints, back alleys, dance halls, etc.” He concludes his review by asserting that “this is a superb, powerful film, ambitiously directed by Roddam with wit, style, and passion”, and that “you can’t help feeling that adrenaline rush so often experienced in the mix-sixties”. Perhaps most representative of adolescent angst is beautiful Steph (Ash), an embodiment of the toxic MGTOW movement in that she “marries up” as soon as a new bloke holds dominance or interest. 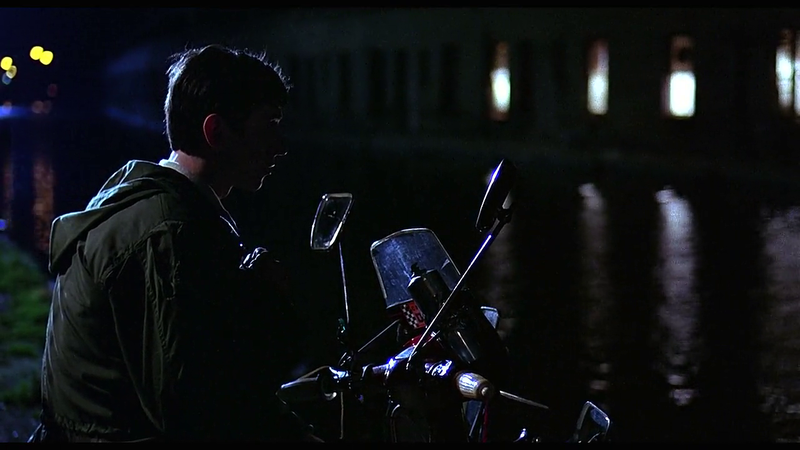 Daniels’ pain and bewilderment at Ash (and at life in general) are completely understandable, given he’s someone who “doesn’t fit in anywhere because he tries too hard to be different” and is “always more excited, angrier, or more frustrated than anyone else; to him every moment has great significance”. His final sequence with Ace Face (Sting) is an appropriately crushing denouement. Yes, once, as a cult favorite. Described at length in Peary’s Cult Movies 2. 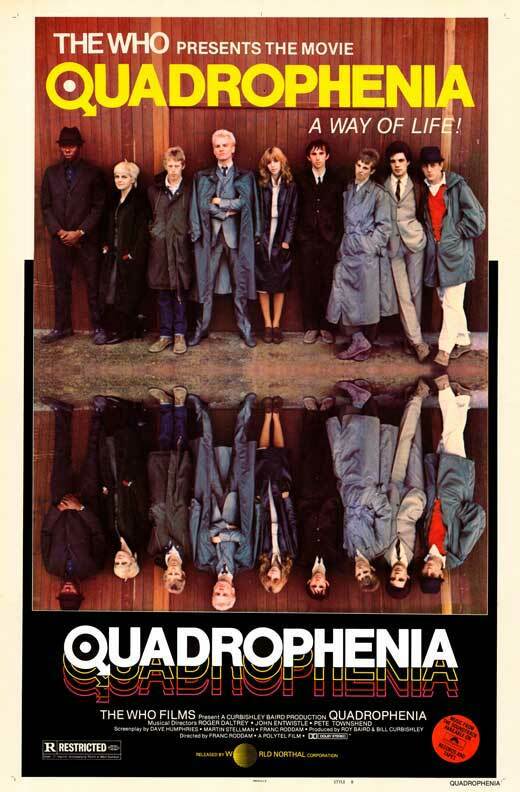 Not must-see (not at all), though fans of The Who will almost certainly disagree…as will those who find something to relate to in the protagonist. ~but many of the rest of us (which includes those who actually were here in the counter-culture, anti-establishment ’60s…LOL) will simply find this a crashing bore. On a revisit – the first in decades; I’d only seen this once before – I spent all of my time wishing the plotless, pointless thing would just be over. Where…exactly…did Peary see wit in any of this, let alone style? And passion? Well, apparently that one’s relative. I can certainly sympathize with the plight of a young person coming from an underprivileged background, feeling extremely frustrated, feeling like he doesn’t fit in, etc. But watching Jimmy…you basically just want to slap him. As a character, he has no definition except angst and anger…and that quickly grows tiresome. I kept waiting for something – anything! – that would reveal a side of him that showed a thinking human being (equipped with some kind of verbal command), instead of a somewhat-opportunistic dolt. 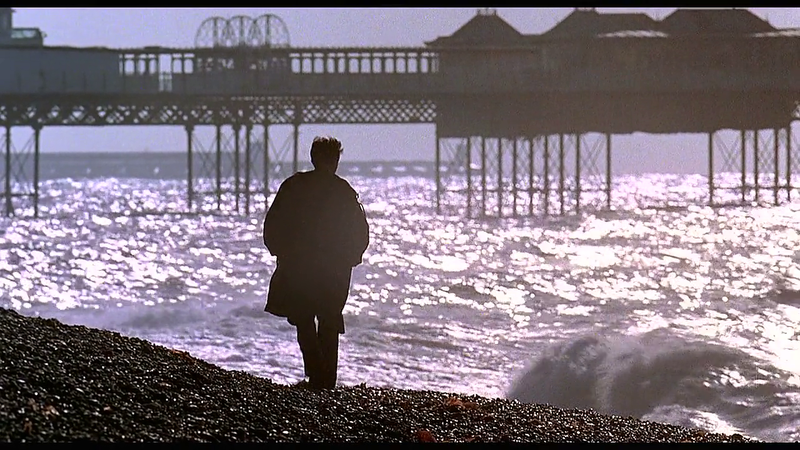 Eventually we get to the ending…concocted just so that the film would *have* an ending…and it makes no real sense. I suppose some may read something ‘profound’ into it. I just found it dumb, frankly. I agree he’s a total loser of a protagonist — BUT I figured this was maybe part of the point, so I went with it. With that said, I don’t plan to rewatch it, and can’t relate personally to Peary’s enthusiasm. 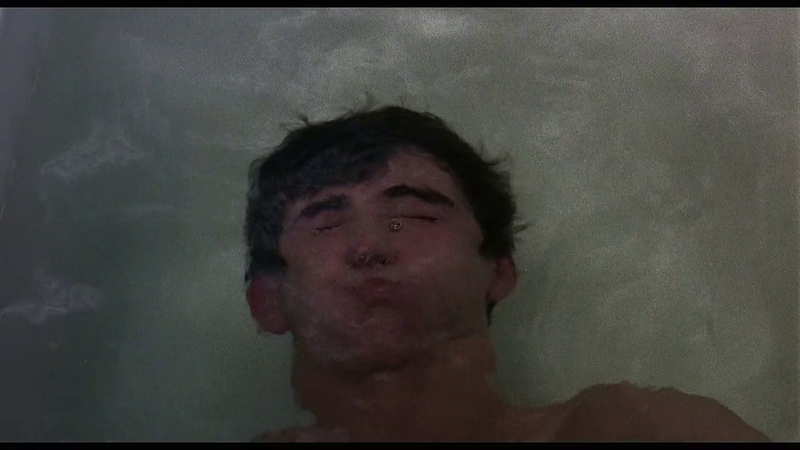 A classic rites of passage film that represents well the disaffected youth of the early ‘60s. Very well written, acted and directed. Although I do like The Who music I wasn’t born till 1967 so have nothing invested in the era it depicts but still found it an engrossing drama even if the lead was a loser. To me, the kind of ideology the protagonist envies is a little too close to white supremacy for comfort. Not on the verge, but on that road. Townshend found a way to channel that energy into a rock band and, in doing so, he was able to grapple creatively with whatever was going on inside of him. But that’s the exception. The average guy in that kind of situation is more into mob rule rooted in anarchy; nothing particularly creative or progressive.